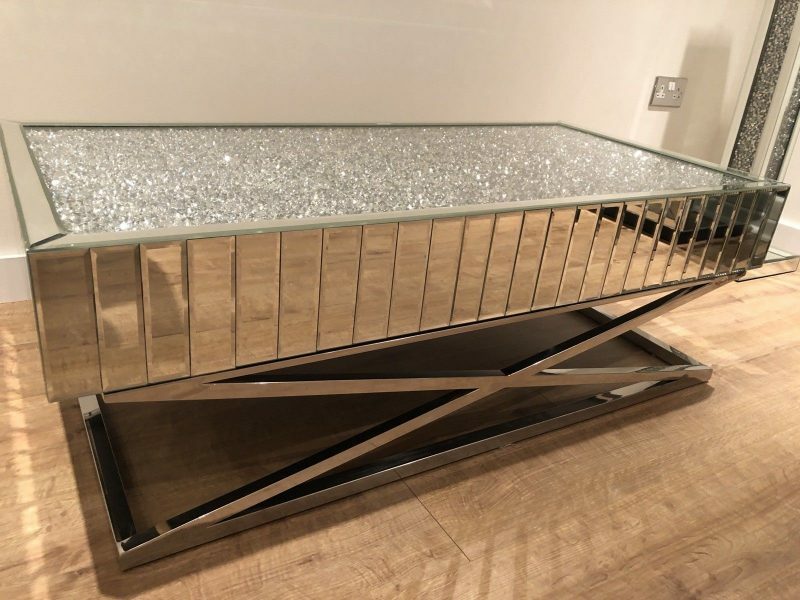 Make a statement with this exclusive, stunning new collection! 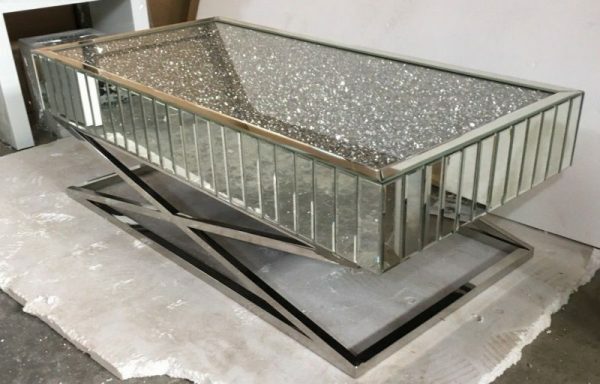 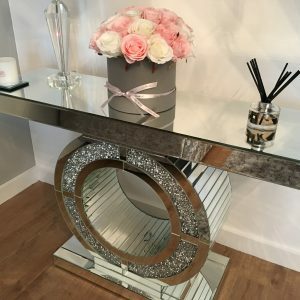 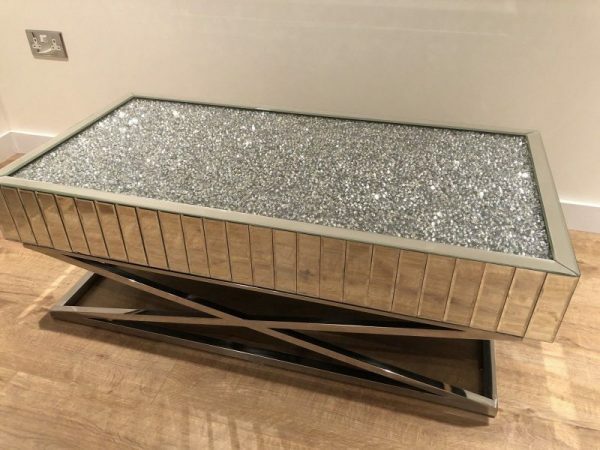 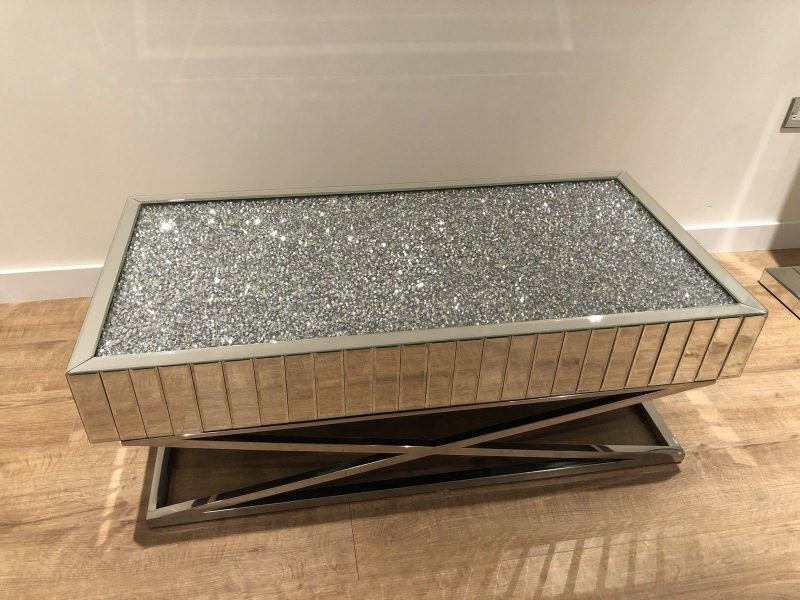 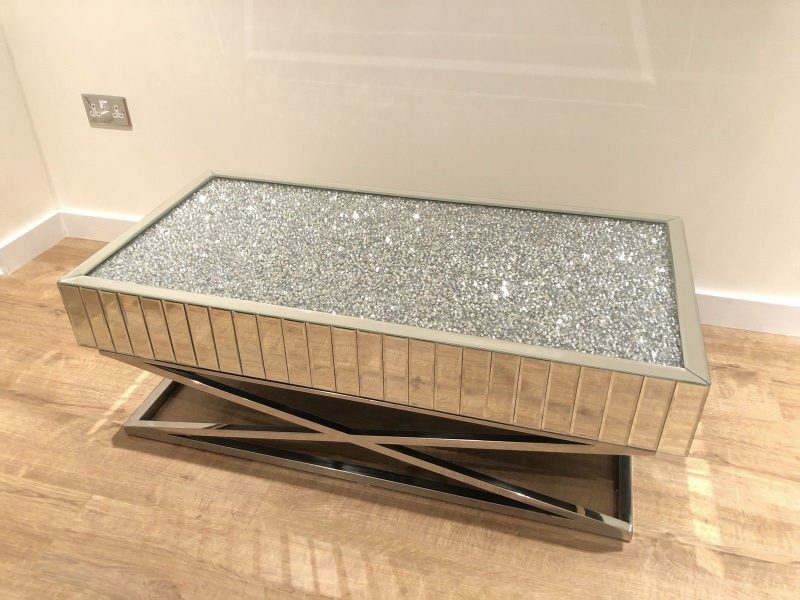 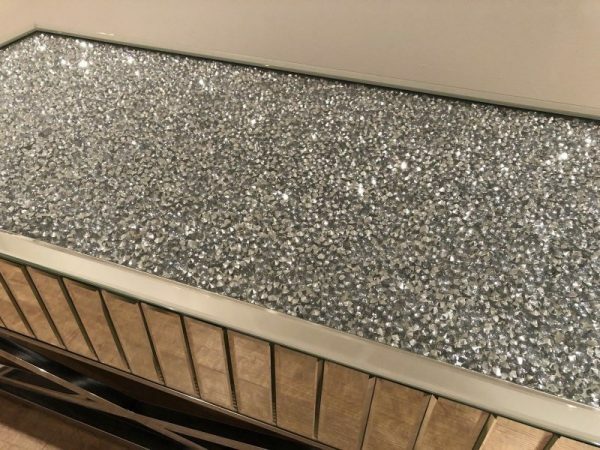 This crushed diamond mirrored mosaic coffee table has mosaic style mirrored edging, X shaped legs and to really top it off a surface of sparkling crushed diamonds. 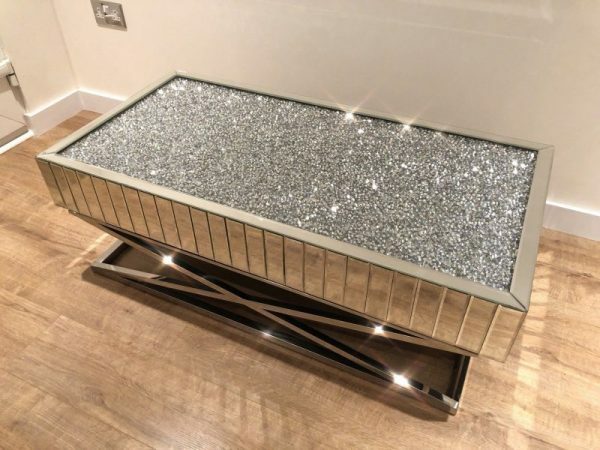 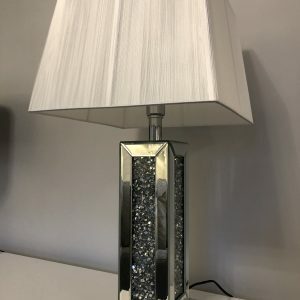 They measure 120cm x 60cm x 40cm so are not only stylish but practical too, guaranteeing to make a statement as the centrepiece of your room. They are made of bevelled edge mirrored glass panels to make the mosaic effect round the edges and the legs are stainless steel. These crushed diamond mosaic style coffee tables have been manufactured to the highest specification and the quality is second to none. 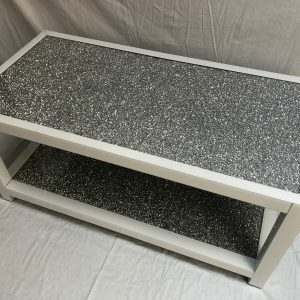 They arrive fully assembled. 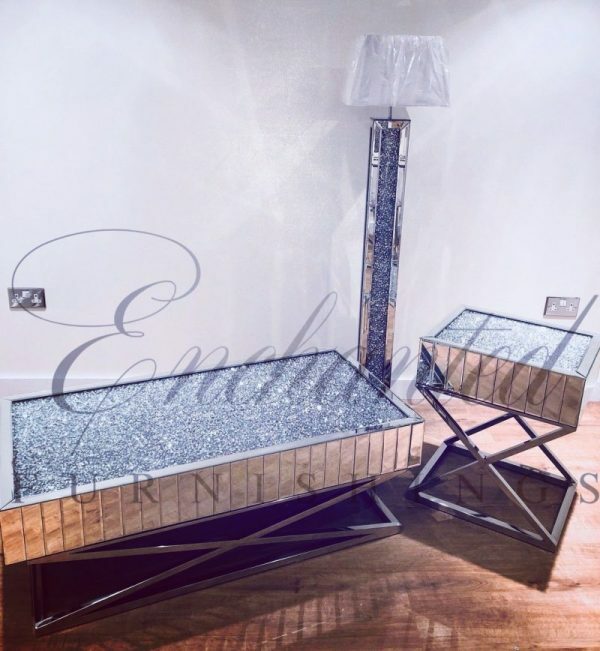 Matching side tables and television unit available.